Another day, another great rock band. Now we have Roadkillsoda, a group who will make heads bang and bodies move. Dedicated to a different time these guys live and breathe riff heavy stoner rock. Their new record Oven Sunis a testament to this enduring rock and roll magic. These Romanians have a very definite artistic direction and it gives their entire music a strong backing. It shows how exciting this style of music can be and really gets into the heart of what rock and roll should be. After all, isn't that what we've all sold our souls for? One of the things that really gives this group an impressive forward motion is the bass playing. As evidenced on tracks like Upside Down it is clear who is really driving the band forward here. Yet all of this, is steeped in some sort of hard to fathom and beautiful stoner magic. 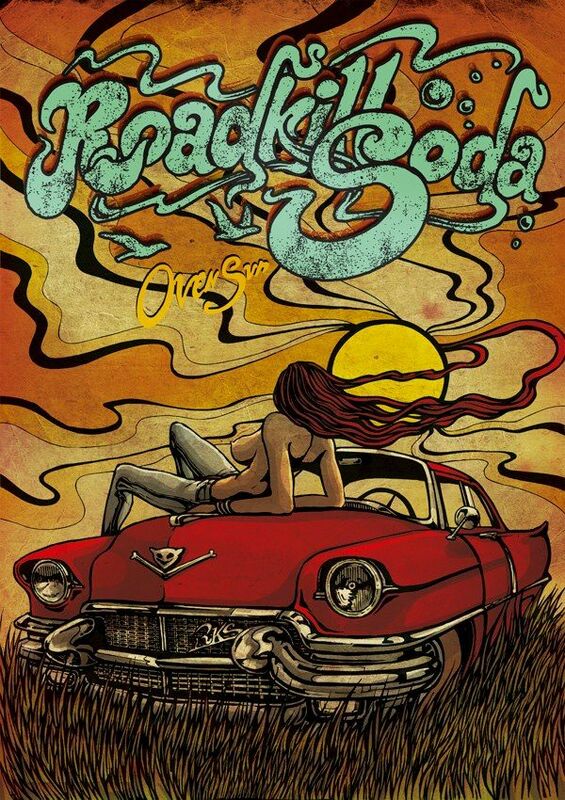 While it may take a spin or two to really groove to the vocals Roadkillsoda definitely have something special going there too. There is a certain humanity here which reminds me a lot of groups like Red Fang. It speaks to the skill of the band as songwriters that they can craft songs that jive as well as these do. A perfect amalgam of a variety of elements brought together by the power of rock. Roadkillsoda is not a band who you will take lightly. Nor are they a group who pay special heed to a metronome. Instead they groove forward with the only guide being the music. Held together by empathy and a little bit of luck, Roadkillsoda are incredibly talented. Oven Sun is ten tracks of loud and proud riff worship which captures the enduring spirit of a genre that few have ever really connected too. So let your hair fly and hips shake, this is exciting rock and roll in a year where Chuck Berry's music is making an incredible comeback, dig it!